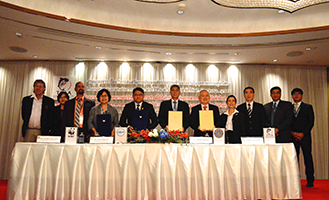 On 29 May 2018, Dr. Kom Silapajarn, Secretary-General of SEAFDEC and SEAFDEC officials attended the signing ceremony on the Joint Declaration of Intent for the “Gulf of Thailand Longtail Tuna (Thunnus tonggol) Fishery Improvement Project”. 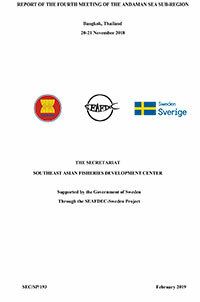 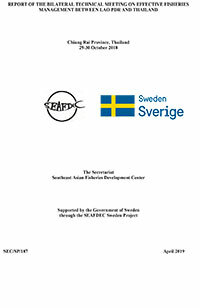 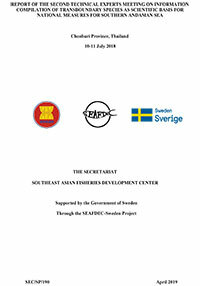 The Declaration binds the commitment among four partners, namely: Department of Fisheries of Thailand, SEAFDEC, World Wide Fund for Nature (WWF-Thailand), and Thai Tuna Industry Association (TTIA), to jointly conserve and responsibly utilize fishery resources in the Gulf of Thailand sub-region focusing on longtail tuna. 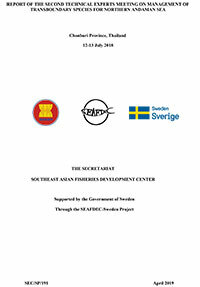 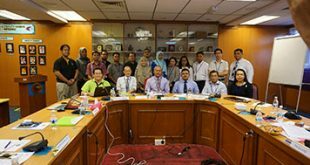 The Declaration is a benchmark step in strengthening collective and coordinated efforts by linking government agencies, private sectors, NGOs, regional organizations, and stakeholders in achieving the common goal which is the long-term sustainability of longtail tuna resources. 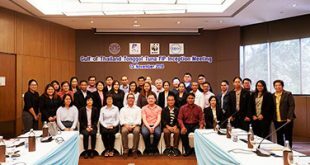 The commitment signed by the four partners in Thailand can show to other countries that unified efforts could be initiated and applied in sub-regions, such as the Gulf of Thailand, to improve the current management practices on longtail tuna fishery.